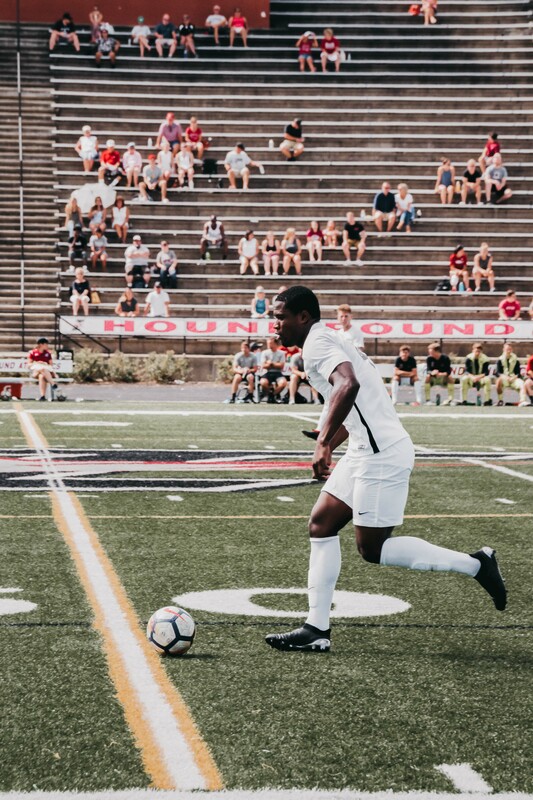 After winning the GLVC tournament last year, the University of Indianapolis men’s soccer team has continued their success into the 2018 season. 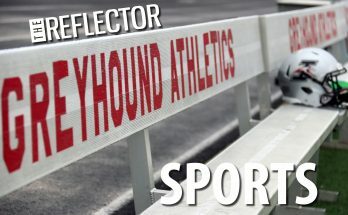 They won their first two GLVC games and four out-of-conference games before losing to University of Illinois-Springfield on Sept. 21. Senior back Bryan Davis lines up for a kick during the game against William Jewell College on Sept. 16. The Hounds defeated the Cardinals 2-1, their sixth overall win and their second win of the season in the GLVC. Photo by Johana Rosendo. According to head men’s soccer coach John Higgins, the reserve squad has been a huge asset to the success of the team so far this season. The university brought in the reserve squad last year, which allows them to add more players to the roster. The goal for the reserve squad is to train them and gain more experience in order to move them up to the first team. Junior midfield Ben Rohder is in his third year of playing soccer for the university. 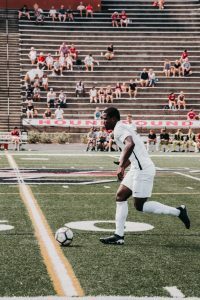 According to Rohder, the players from the reserve team help raise the culture and keep competition at a high level as well as raising standards for the team on and off the field. This quality is carried over into the recruitment process in order to keep these characteristics in their players. “From my standpoint, it’s about recruiting the right personalities and making sure we are getting good kids in, and that’s what we have, a bunch of really nice guys that have good character,” Higgins said. According to Higgins, they are usually relying on young players, but because of experience and maturity, the team has had a good start to the season. 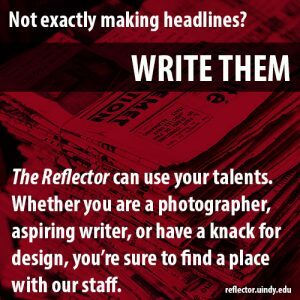 As far as experience goes, the seniors have brought in a lot of maturity as well as some of the transfer students, according to Higgins. The team currently has eight seniors and according to Higgins they all have the potential to have their best season this year. The team has started their season strong and now have high expectations to win, according to Rohder. As of Sept. 23, the team was ranked number nine in the United Soccer Coaches Division II Poll, up two spots from the previous week’s poll. This is their first top ten ranking since 2013. The chance to finish the season strong is because of the early success, according to Higgins.